Caustic injuries often present as surgical emergencies. Herein, the authors provide a review of the presentation of acidic and basic injuries and appropriate workup. Whereas acids result in coagulation necrosis and eschar formation that limits depth of penetration and injury, alkalis leads to liquefactive necrosis and saponification that promotes deeper tissue penetration. Identification of degree of injury is critical to determine management and intervention. 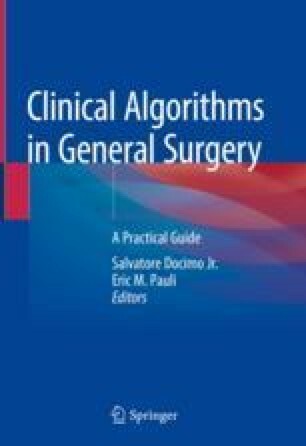 Conservative and surgical interventions are described, to be acted upon review of clinical data. Follow-up and management of strictures are also discussed. Kluger Y, Ishay O Ben, Sartelli M, Katz A, Ansaloni L, Gomez CA, et al. Caustic ingestion management: world society of emergency surgery preliminary survey of expert opinion. World J Emerg Surg [Internet]. 2015;10:48. Available from: http://www.ncbi.nlm.nih.gov/pmc/articles/PMC4609064/. Struck MF, Beilicke A, Hoffmeister A, Gockel I, Gries A, Wrigge H, et al. Acute emergency care and airway management of caustic ingestion in adults: single center observational study. Scand J Trauma Resusc Emerg Med [Internet]. 2016;24:45. Available from: http://www.ncbi.nlm.nih.gov/pmc/articles/PMC4827211/. Zargar SA, Kochhar R, Mehta S, Mehta SK. The role of fiberoptic endoscopy in the management of corrosive ingestion and modified endoscopic classification of burns. Gastrointest Endosc [Internet]. 37(2):165–9. Available from: http://www.ncbi.nlm.nih.gov/pubmed/2032601.